American Anchor, Inc. -- Serving Western Michigan Since 1968. 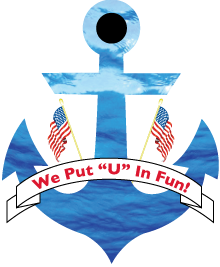 American Anchor, Inc. offers an impressive line of Boat Lifts and Docks from reputable manufacturers. Call us first to see the values and quality we have to offer. Lift your boat faster...lift it easier...lift it higher. And dock it shallower with the Elite series from Harbor-Master. With a simple press of a button, in 30 seconds you can raise your boat completely out of the water with the Hydraulic Lift series. LSP Inc. Lifts, Docks and Accessories. Proudly made in Michigan since 1982. Alumi-Span is the original All-Aluminum Portable Pier. Light weight. Anchors solidly. Extremely strong. Fully adjustable. And so many more features that will surely meet your high standards.